Rice out, quinoa in. 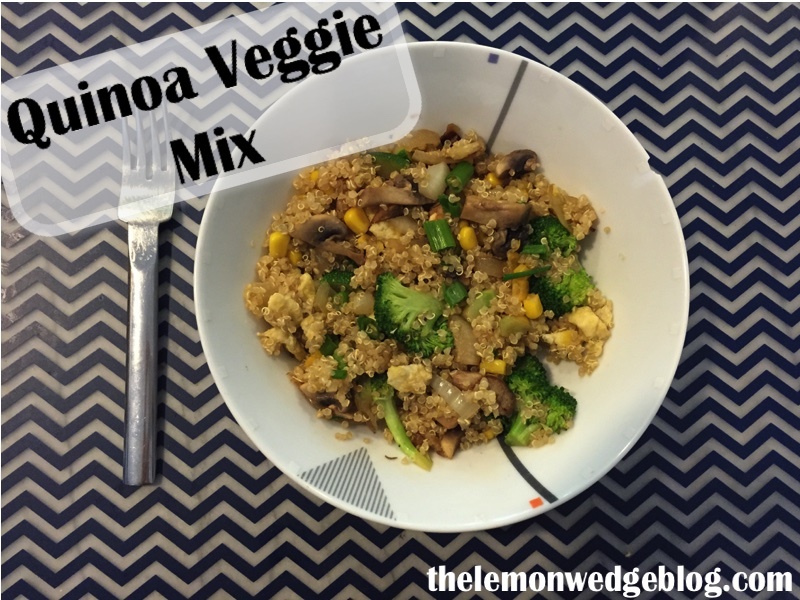 Try this Quinoa Veggie Mix instead of a rice based stir-fry. Before you stop reading and say “I don’t like quinoa”, let me just say that I am not a huge fan of quinoa, and I thought this was delicious! Quinoa packs in lots of protein and fiber to fill you up, so it is a great alternative to nutrient-poor rice. The vegetables used in this recipe are some of my favorites but feel free to add any other veggies you may like. 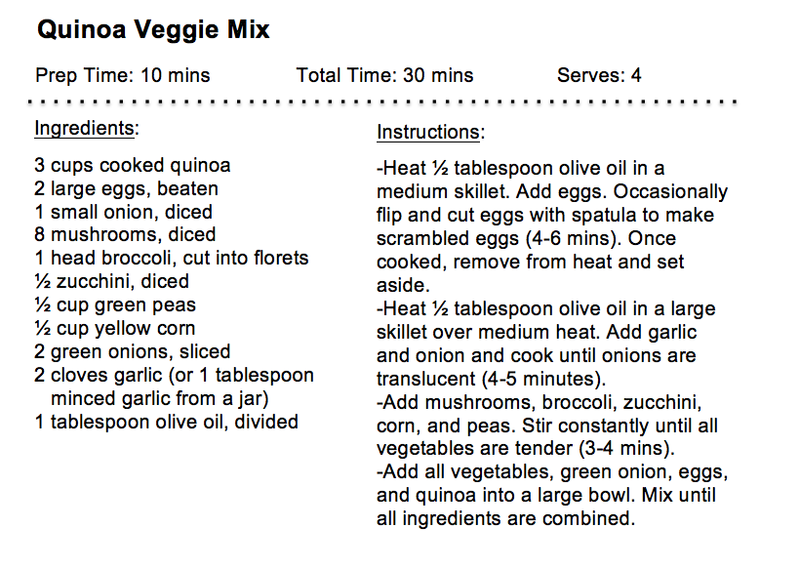 The first time I made this recipe, I was startled by the amount of veggies it called for. It seemed like I had mounds of vegetables and little quinoa. Turns out the recipe amounts were just right, so don’t hesitate if it seems like you are cutting lots of veggies. The approximate* nutrition facts of one serving are shown here for the ingredients on the recipe. The quinoa I used is Village Harvest Premium Whole Grain Quinoa (pictured here). It is very easy and takes about 20 minutes to cook. If you want this recipe to have a more “fried rice” feel, you can mix in 3-4 tablespoons of soy sauce at the very end. *Nutrition facts will change depending on the brand and exact amounts of ingredients used.